Thanks to Elias Kouloures for sending in this cool new ambient medium idea for Wrigleys Extra Smile Chewing Gum. 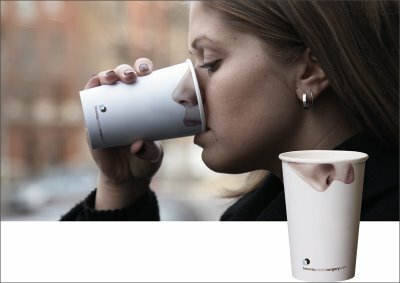 I think it will remind most people of a similar idea created for the Toronto Plastic Surgery Hospital created by DDB Canada posted below. 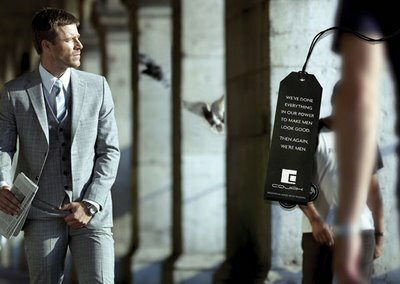 RMG Connect - The Ultimate Pleasure Xperience! 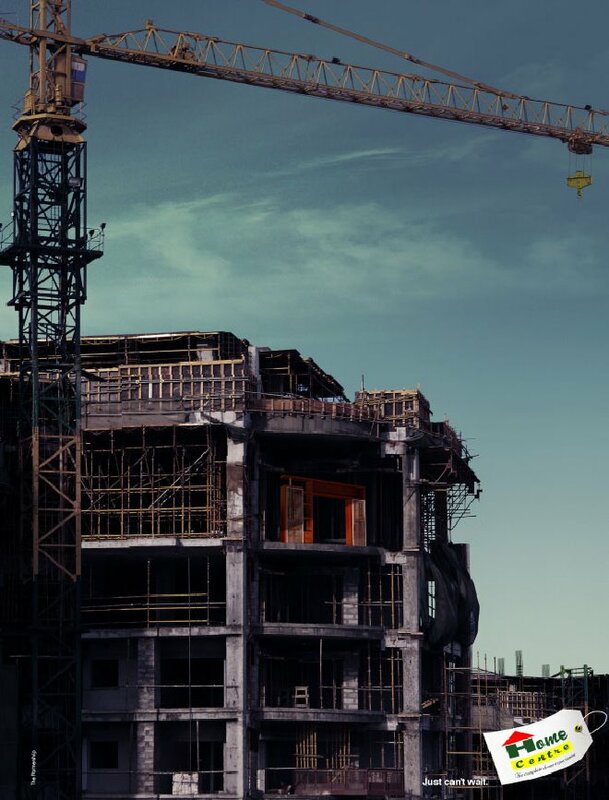 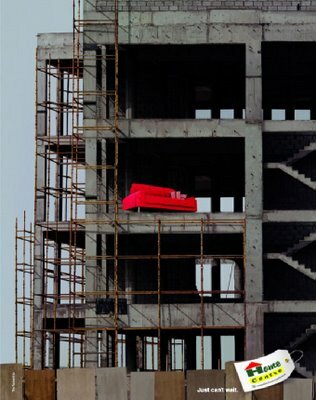 The Home Centre - Can't Wait! 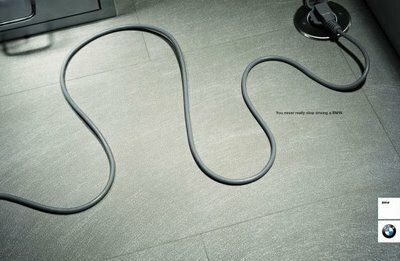 A fresh new campaign for 'Home Centre' by the Classic Partnership in Dubai. 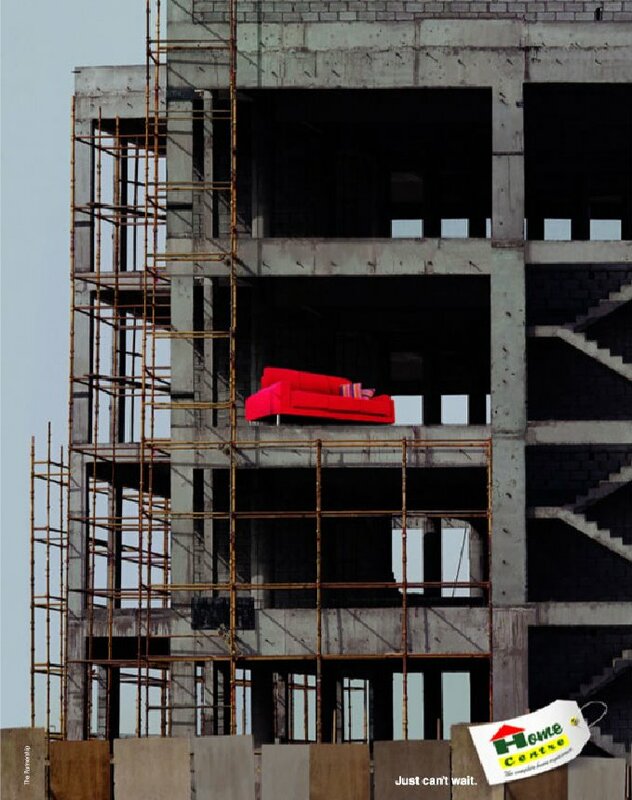 A nice idea where you love the furniture, curtains, beds, etc so much that you can barely wait for your home to be ready. 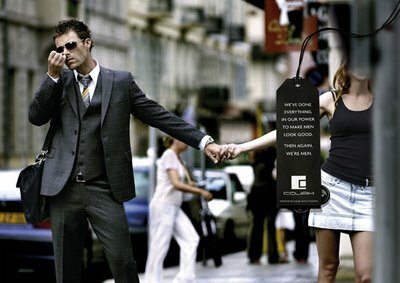 An interesting, bold and different approach to selling clothing by COJAK from Sweden. 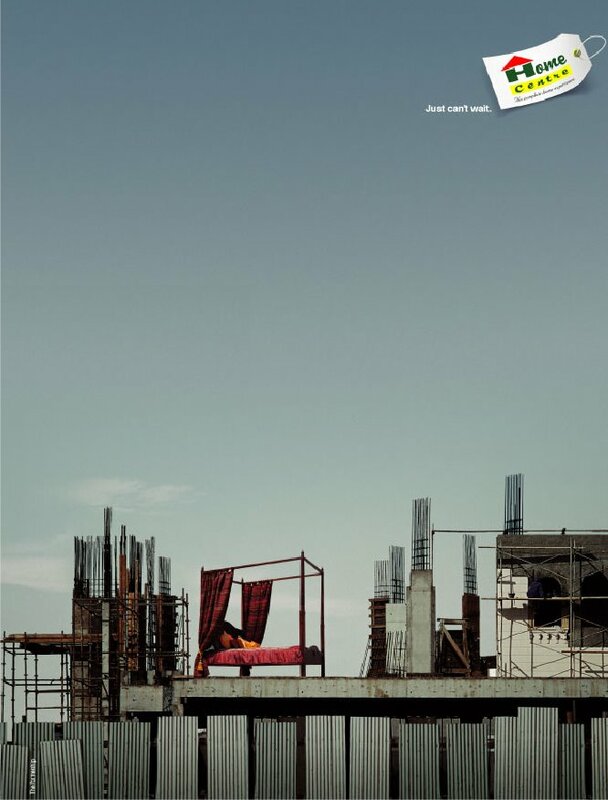 I guess these ads remind me of the men will be men campaign for a liquor brand in India, only that the expressions there are more typically male habits, typical male reactions to a good looking woman, etc while they are more radical and might put off a few people here! 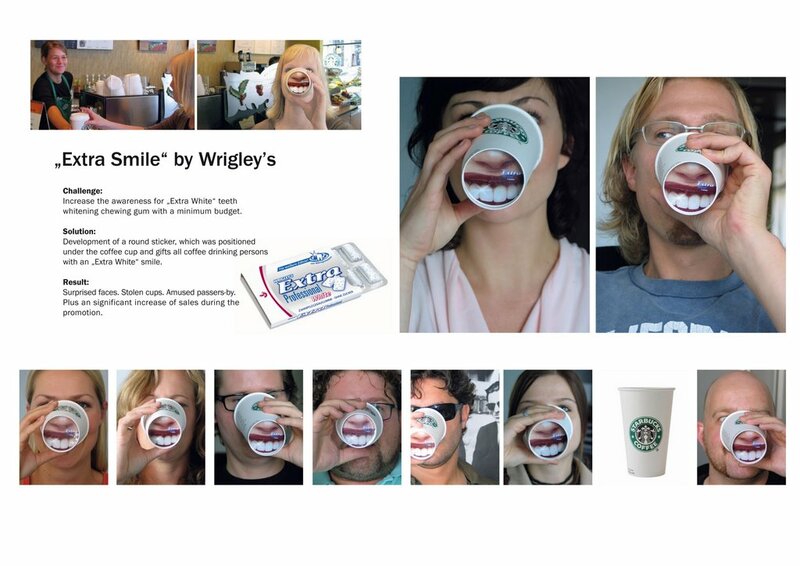 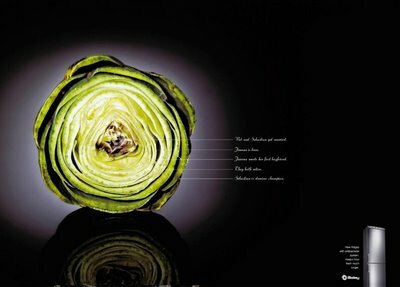 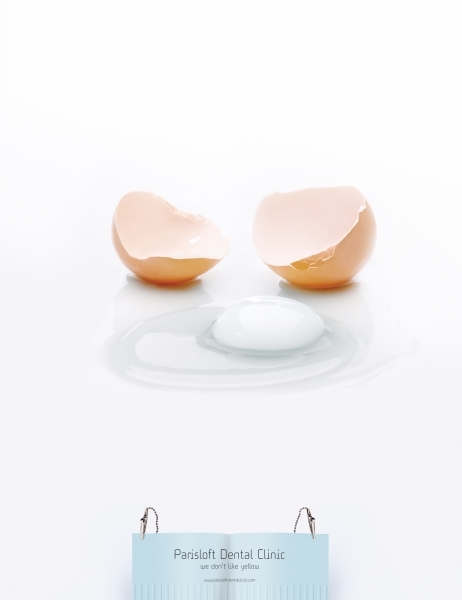 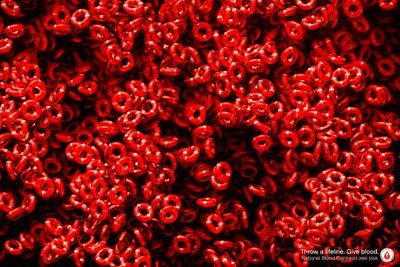 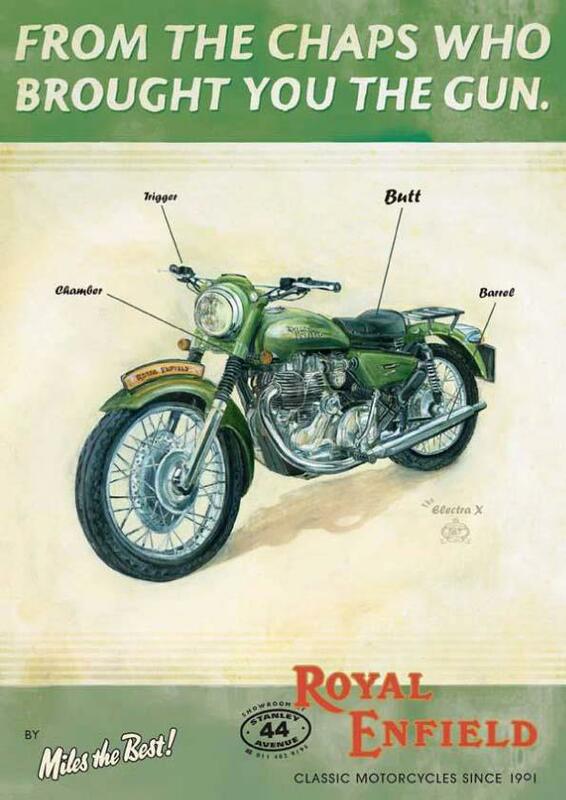 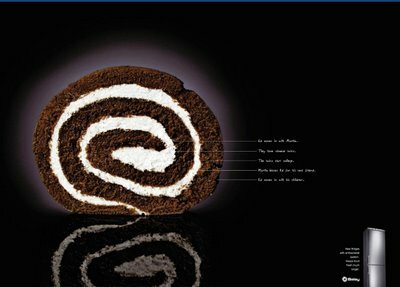 Thanks to Cosmin Simionescu from BBDO, Romania for sending in this ad for Wrigleys. 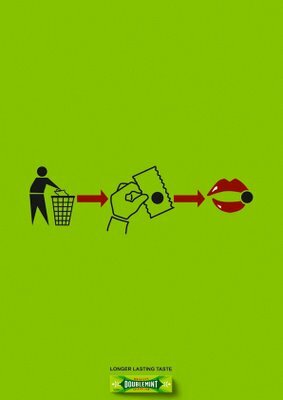 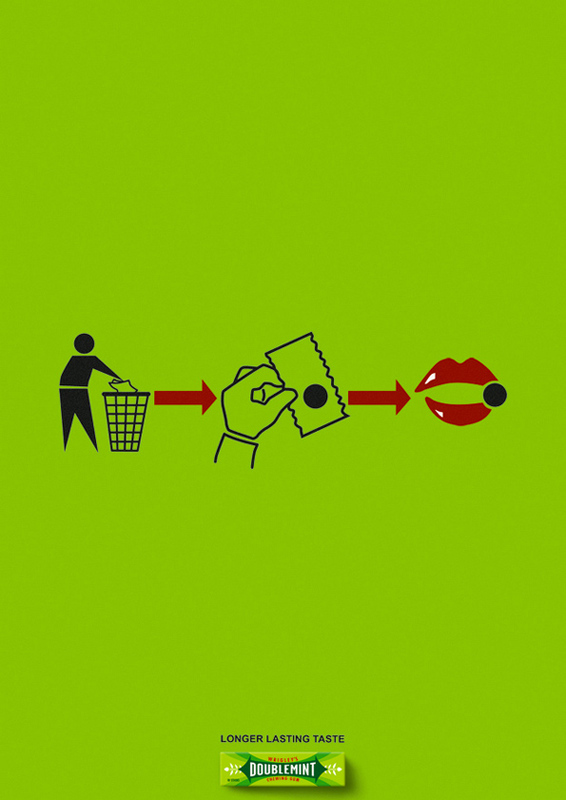 Happy Recycling! 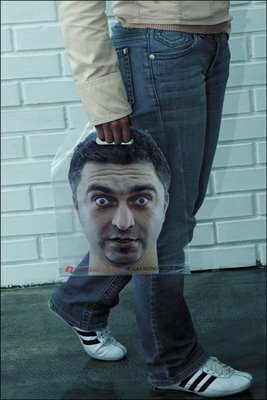 Looks like the bags just keep coming one after the other again and again and again and again and again! 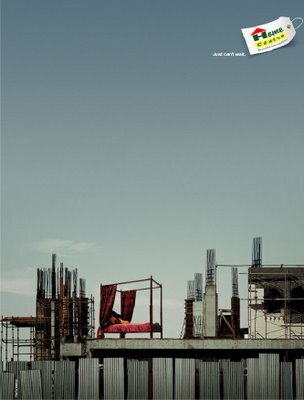 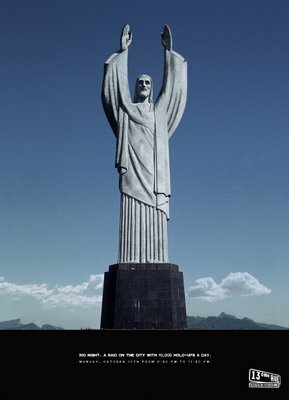 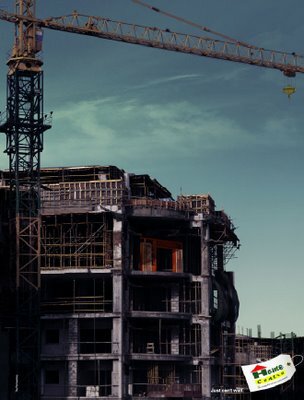 This one is for a head hunter called The Career Builders from Ukraine. 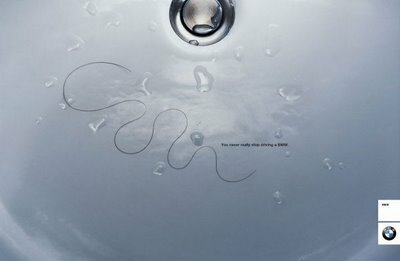 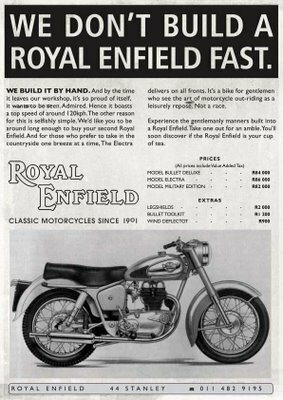 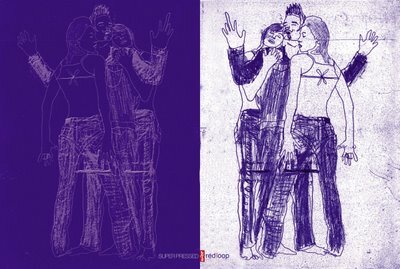 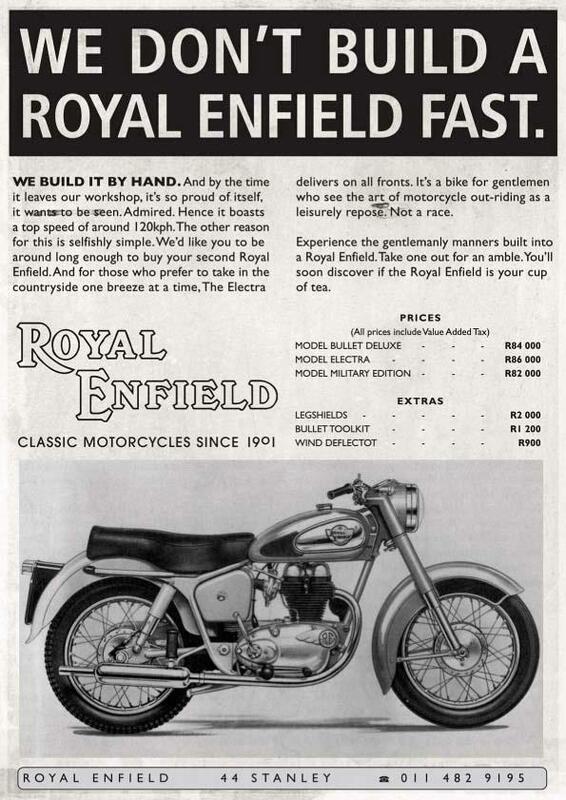 The agency involved is Leo Burnett. 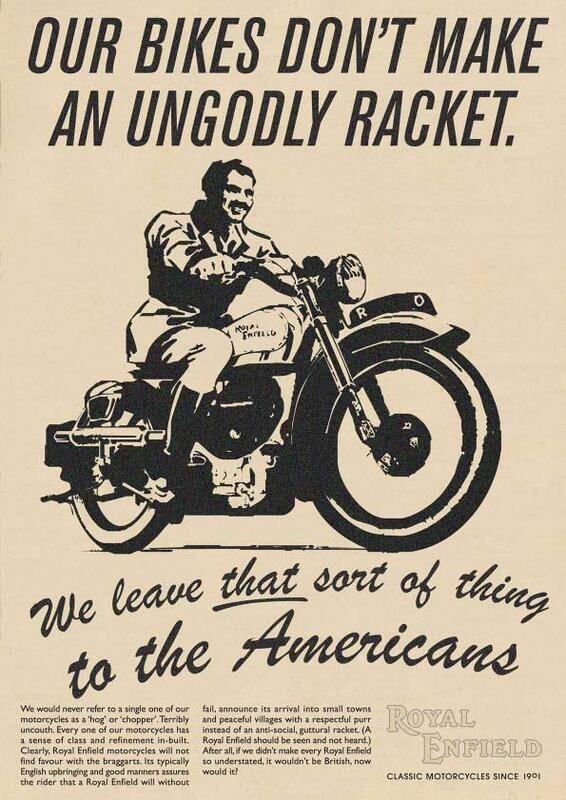 Thanks to Max Gladwell for sending this in. 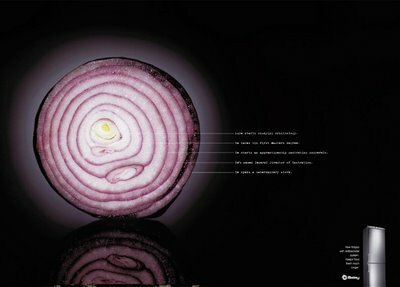 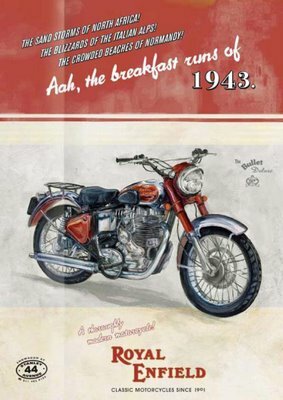 Yet again a campaign from South Asia, this time it's Ogilvy & Mather, Malaysia that's coming up with the most refreshing and a slightly bizzare (I guess the Indian Word for it is 'haatke')campaign. 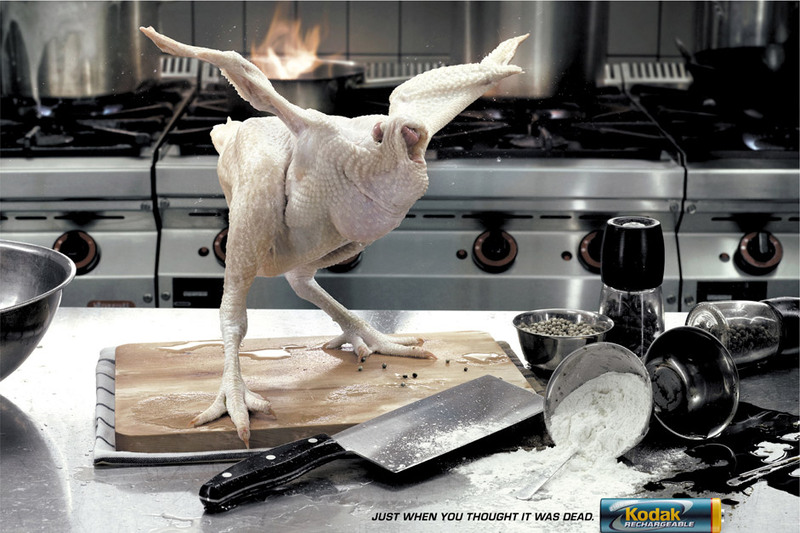 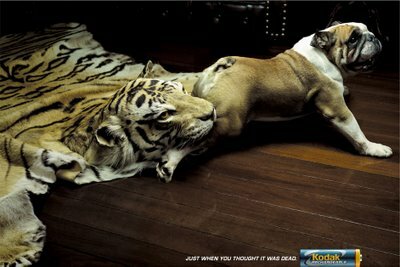 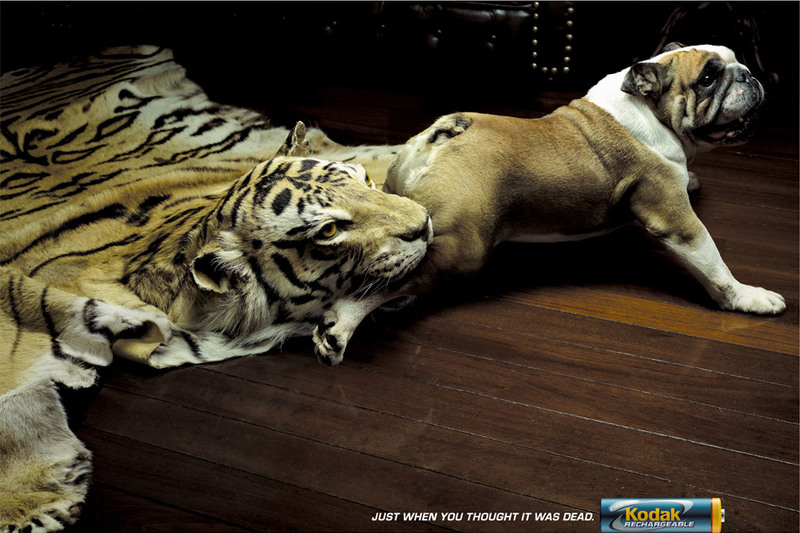 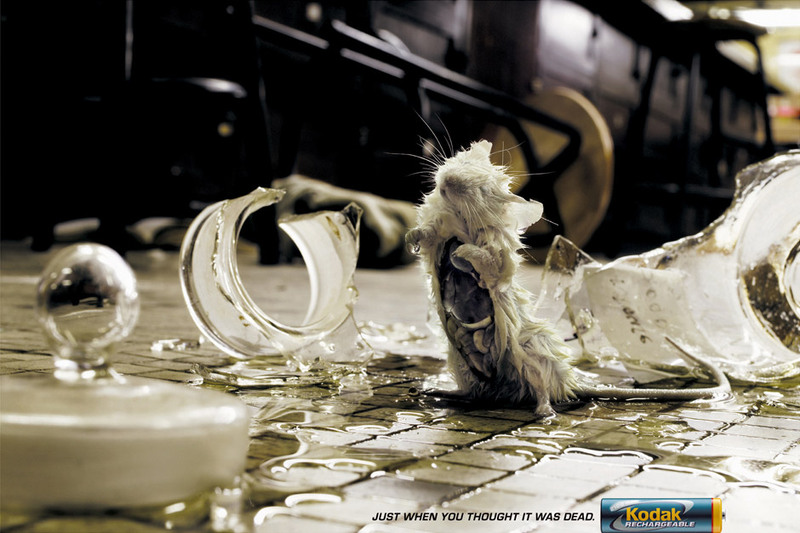 I love these ads for Kodak Rechargable Batteries. 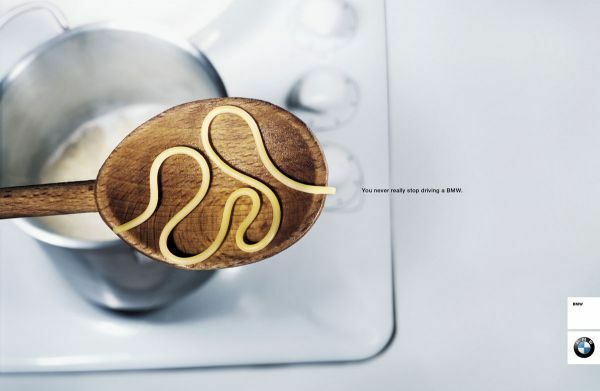 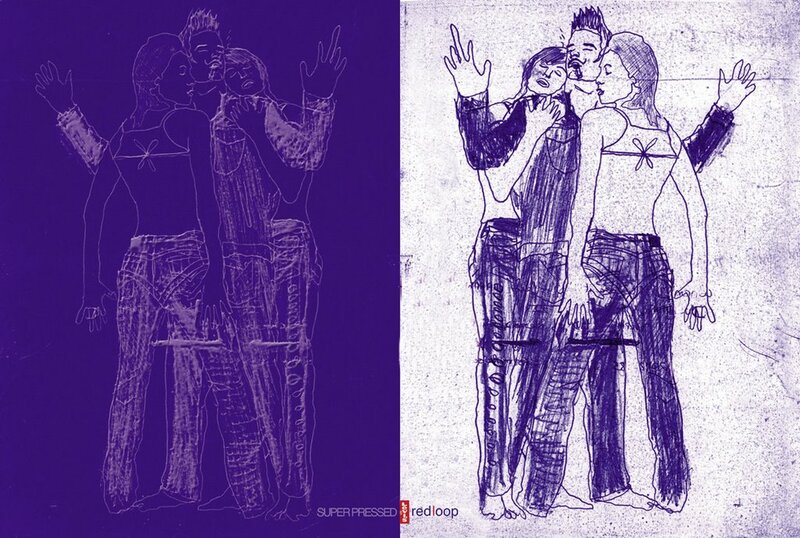 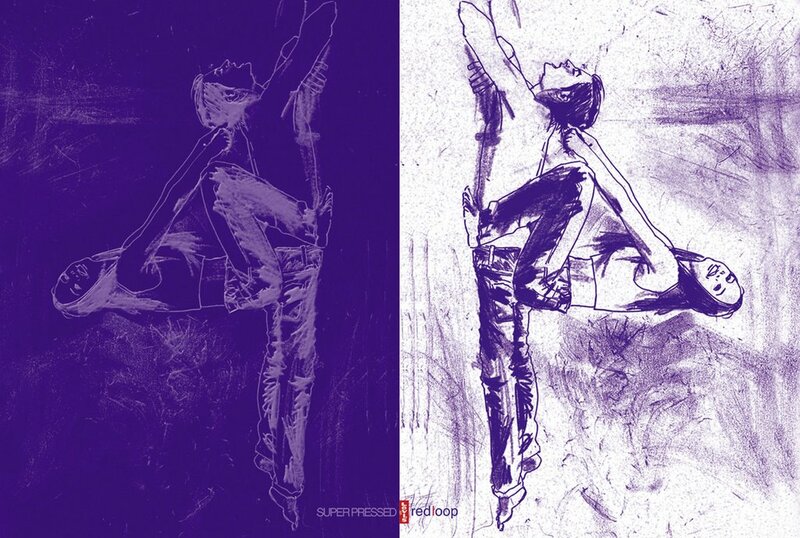 A brilliantly executed campaign that we can surely expect to see at every ad fest very soon. 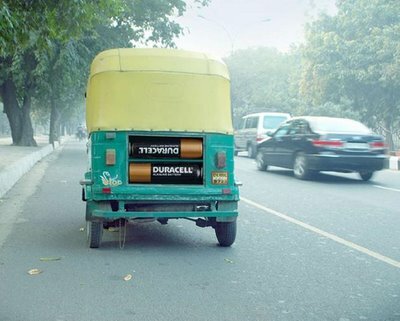 To see more campaigns for batteries go here or here! 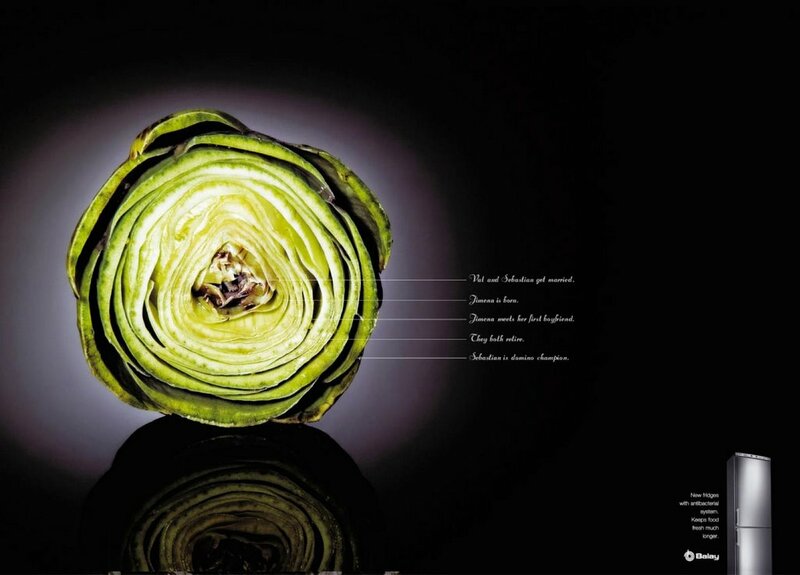 A new campaign for the Balay brand of refridgerators with an antibacterial system. 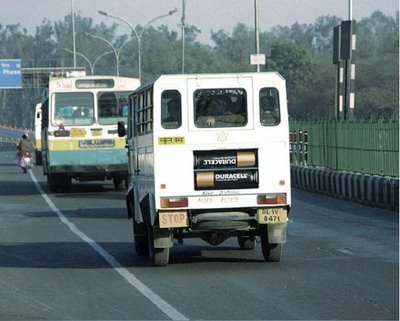 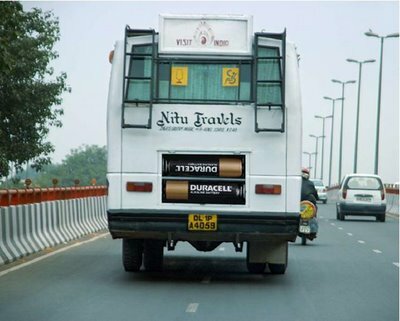 Over-sized models of Duracell batteries were fitted in the boot space available behind passengers vehicles (bus, van, autorickshaw etc.). As they commuted daily through the city, it gave the impression that the vehicles were powered by Duracell. 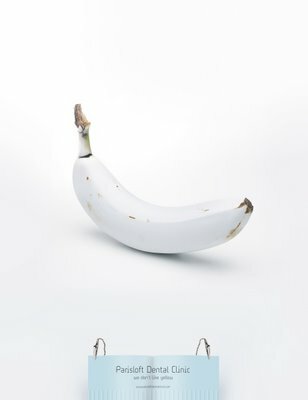 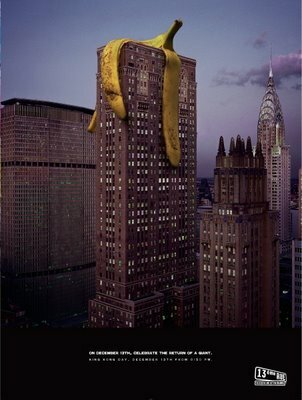 Two cool ads for Parisloft Dental Clinic in Montreal, Canada where the corporate philosophy is "we hate yellow"! 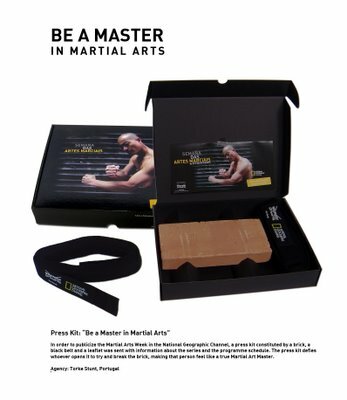 In order to promote the Martial Arts Week by the National Geographic Channel (NGC) - a series of documentaries about the surprising Martial Arts – a press kit constituted by a brick, a black belt and a leaflet was sent to the press and media buyers with information about the series and the programme schedule. The press kit defies whoever opens it to try and break the brick, making that person feel like a true Martial Art Master. 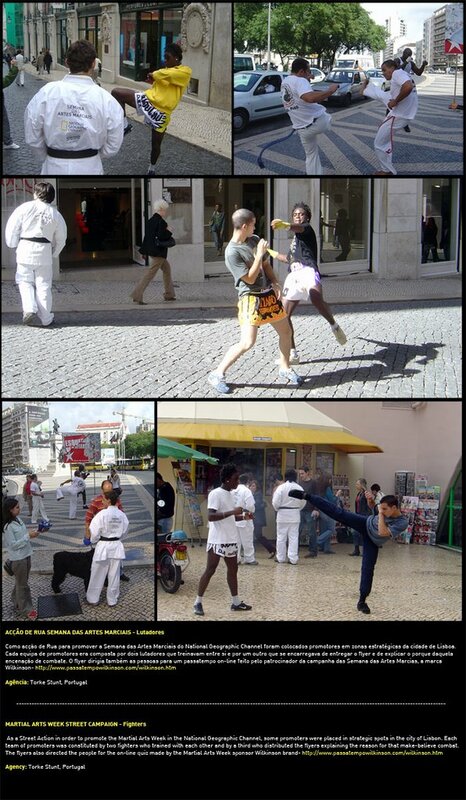 Promoters were placed in strategic spots in the city of Lisbon. The flyers also directed the people for the on-line quiz made by the Martial Arts Week sponsor Wilkinson brand. 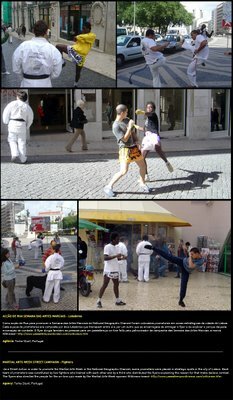 About 150 black belts and flyers were placed in different supports throughout the city of Lisbon. 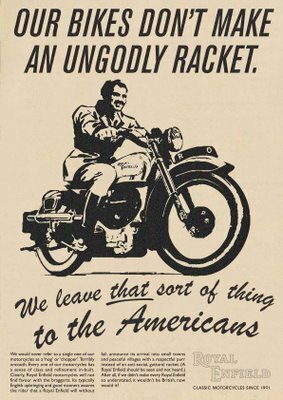 Each team of promoters was constituted by two fighters who trained with each other and by a third who distributed the flyers explaining the reason for that make-believe combat. 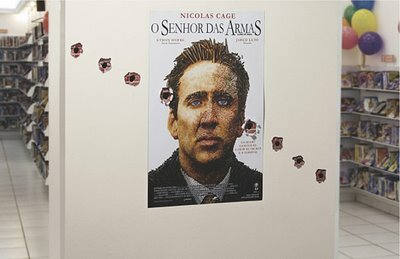 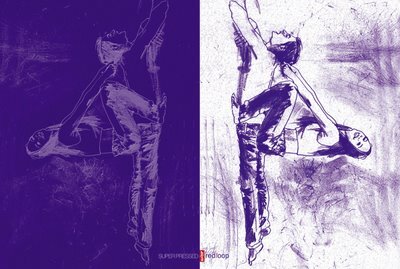 Thanks to Hugo Tornelo from Torke Stunt, Lisbon for mailing this in. 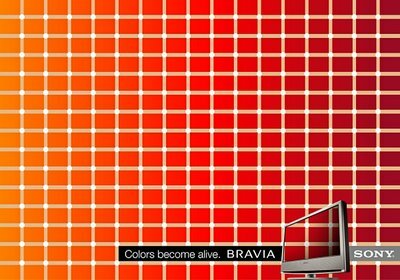 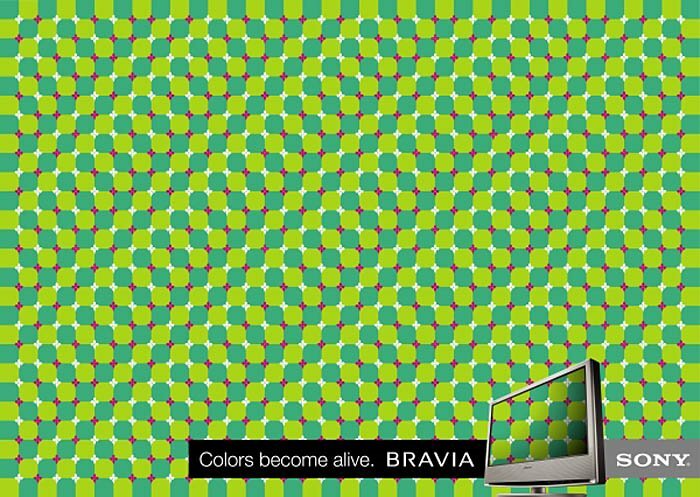 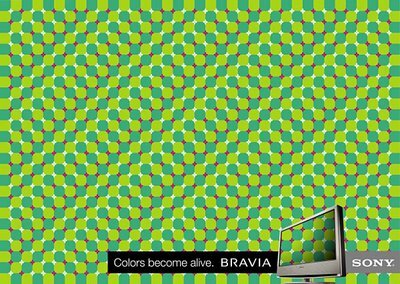 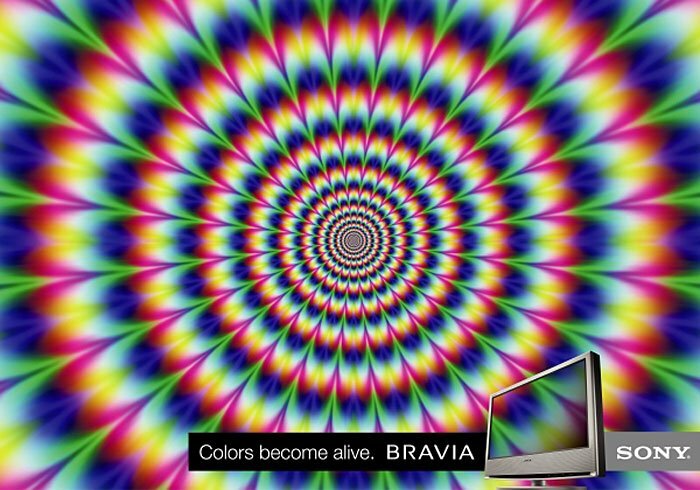 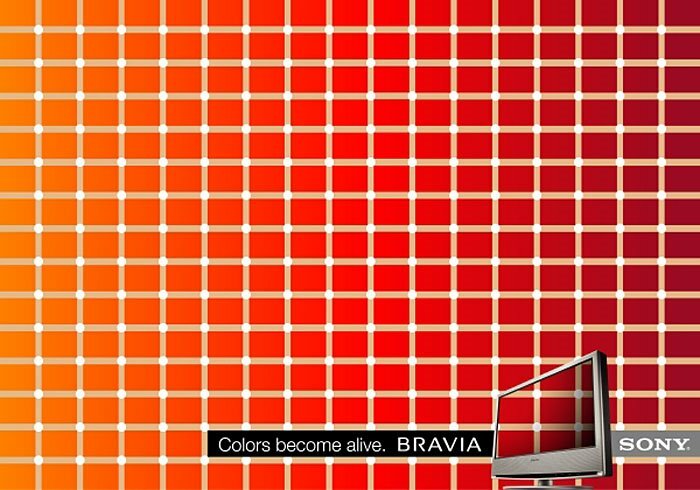 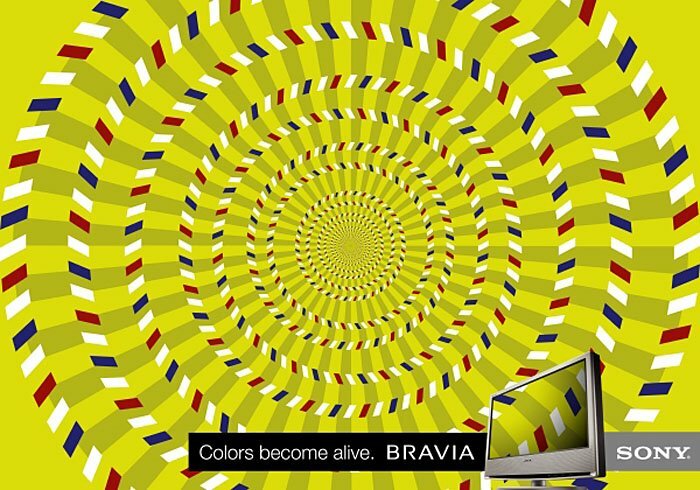 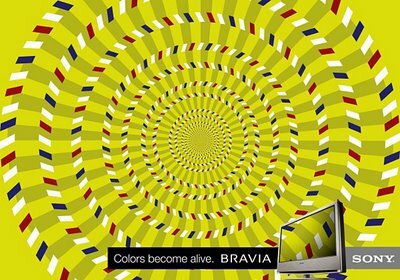 BRAVIA - Colorrs Come Alive!